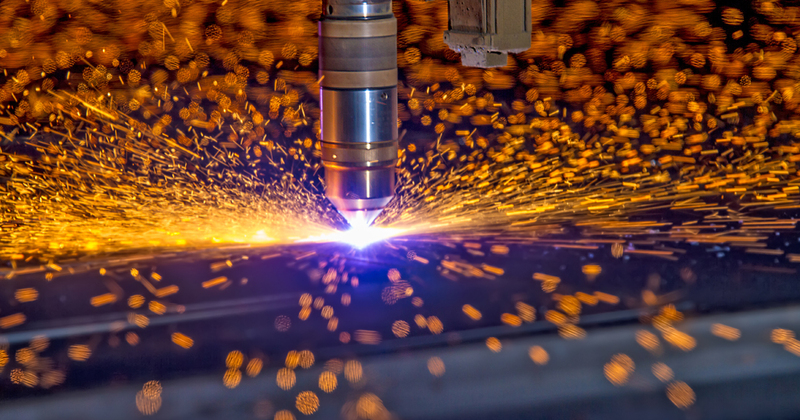 Plasma cutting is a process that was developed from plasma welding in the 1950s, and was designed to precisely cut both thin and thick materials. However, plasma cutting was not accepted by manufacturers and fabricators until the 1970s due to the cost of the system and the gases required, and the lack of knowledge surrounding the process. Here at PWP, we offer a range of plasma cutters. In this article, we aim to give you all the essential information you need about these high-performance machines. How much is a Plasma Cutter? Plasma cutters can vary in price from £800 to £45,000. This is an enormous price range that depends entirely on the size of the machine, whether you need a handheld device for a hobby or a larger, industrial machine. The quality and features required also need to be taken into consideration. 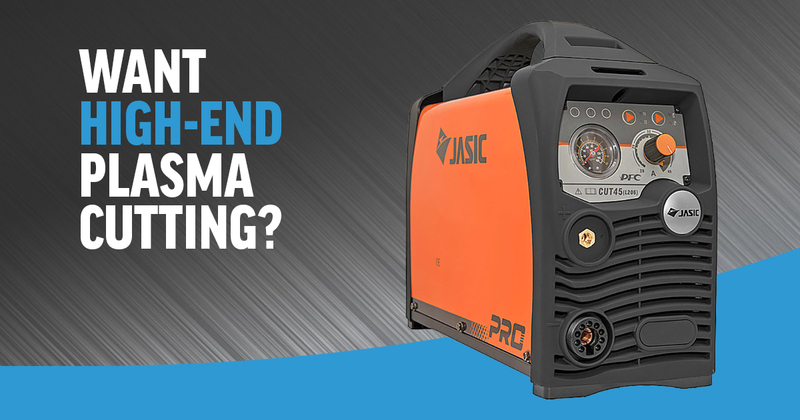 There are many inexpensive plasma cutters on the market, which start as low as £130, however, while these machines may make some impressive cuts it won’t be long before you need a replacement. Established names who are leading manufacturers of welding and cutting supplies are much more reliable, which will reflect in the plasma cutter’s abilities. The plasma cutters we supply are all high powered, user-friendly, and of the highest quality. We can also offer a range of delivery options, including next day if you order before 3pm, and will keep you up to date on the progress of your order. Plasma cutters are becoming an increasingly common tool in many industries such as metal fabrication, construction and automotive repair. This tool is able to cut through several types of metal including steel, copper, brass and aluminium by generating an extremely high-temperature, electrical channel of ionised gas otherwise known as plasma. To create the 4th matter – the plasma – the cutter sends an electric arc through a gas, (either oxygen, nitrogen or argon) which rapidly increases the heat levels to the point where it goes beyond a solid, liquid or gas and becomes plasma. The machine will then use the plasma to transfer the energy to any conductive metal, allowing it to cut through with very little or no resistance. This method results in a clean, fast cutting process. Do you need gas for a Plasma Cutter? Gas is needed for a plasma cutter in order for it to work and create the plasma. As mentioned, the most popular gases to use are oxygen, nitrogen or argon. 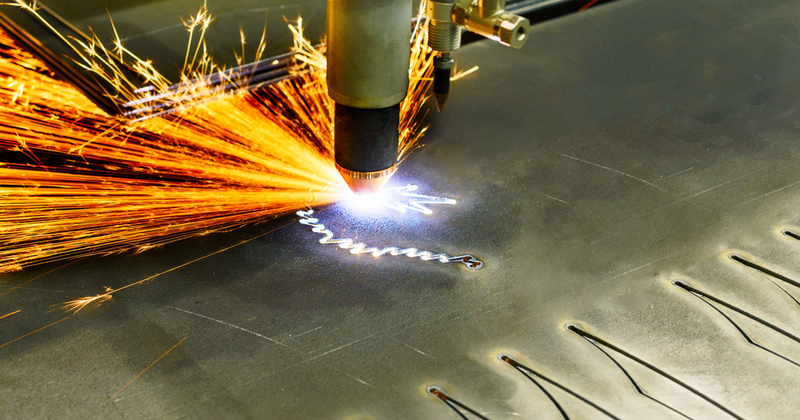 Some plasma cutter systems include multi-gas features so a variety of gases can be used for different applications. Different gases are used depending on the type of metal you are cutting. Oxygen has become the standard gas to use when cutting steel as it offers the fastest cutting speed of any plasma gas. Nitrogen is the best choice when it comes to cutting aluminium and stainless steel and it can provide an excellent cut quality. Argon is ideal for cutting thick stainless steel and aluminium as it’s the hottest burning plasma. For a more economical choice, clean dry shop air is recommended and will cut through mild and stainless steel as well as aluminium. The heat of a plasma cutter can reach an impressive temperature of 25,000 degrees Celsius. To put this into perspective, it is hotter than the surface of the sun which sits at a comfortable 5,505 degrees Celsius. Safety is paramount when using a plasma cutter. Looking directly into the flame can permanently damage your eyes and the flame will also very quickly cut through skin, muscle and bone. It’s vital for you to select the appropriate PPE for the workplace, which can include helmets, safety footwear, gloves, eye protection and respiratory protective equipment to ensure the safety of workers. Bear in mind that it is often unnecessary to use the maximum heat setting of a plasma cutter and doing so will use up a substantial amount of electricity. Our advice is to keep it on the lowest heat setting, if possible, and don’t leave it running for too long. Use the machine in small bursts, both for the benefit of your safety and the health of your electricity bill! Can a Plasma Cutter cut through paint? Yes, a plasma cutter is able to cut through painted metal, however, it will require a solid connection on a clean section of the metal that is as close to the area you are working on as possible. The only times a plasma cutter will struggle to perform is if there is any water or moisture in the machine’s air compressor and if the air pressure is incorrect. If there is too much air the plasma can potentially blow out of the machine, however, if there is too little you will have trouble cutting. To find out what the right amount of air pressure is for your machine, check the guidelines on your plasma torch. Manufacturers should be aware that even the smallest amount of moisture can negatively affect the tool. If, while cutting, the machine is spluttering and erratic, chances are moisture is the cause. To ensure the air in the compressor is dry, use disposable air filters with a quick release at the base of the tool. For more information about plasma cutting you can download our basics guide. What metals will a Plasma Cutter cut? The melting point of some of these metals will make them difficult to work with as the cutting capacity of the machine will decrease as the electrical conductivity of the metal increases, resulting in an uneven or ‘messy’ edge. If you need any further information about our plasma cutters, give us a call on 01234 345111 or email us at [email protected] where a member of our highly knowledgeable team will be available to give their expert advice. We’ll even go that extra mile to find the exact product you’re looking for or modify an existing product if necessary. This article was written by Richard Fryer, a partner at PWP Industrial with 24 years of experience. 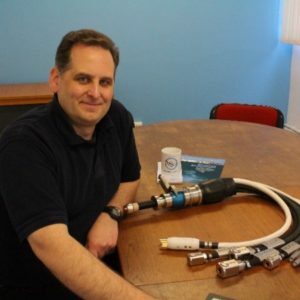 Passionate about supporting the professional welder and a demonstrated history of supplying products to the welding and fabrication industry, Richard is an invaluable asset to PWP Industrial and contributes toward the end goal of providing innovative solutions. Connect with Richard on Linkedin.